We are delighted to announce the next Tramp Press title is the fantastic, dark, funny The Iron Age by Arja Kajermo, with illustrations by Susanna Kajermo Törner. The novel, based on Arja’s Davy-Byrne’s-shortlisted short story, will be launched by Rick O’Shea on April 27th at 6.30pm in the Workman’s Club, Dublin. (Click here for preorders). 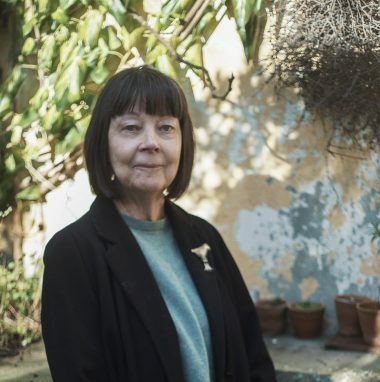 Arja Kajermo (pronounced Arya Ka-yermo) has contributed cartoons to the feminist publisher Attic Press and occasionally to the Sunday Press, The Irish Times, Image magazine, Magill and others. Her strip ‘Dublin Four’ ran in the Sunday Tribune. She now draws the strip ‘Tuula’ in the Sunday edition of a Swedish daily newspaper. In 2014 she was shortlisted for the prestigious Davy Byrnes Award for her short story ‘The Iron Age’, upon which this novel is based. It was Finland, it was the 1950s but on our farm it could have been the Iron Age. The Iron Age is part-coming-of-age novel, and part-fairy-tale told from the perspective of a young girl growing up in the poverty of post-war Finland. On her family’s austere farm, the Girl learns stories and fables of the world around her – of Miina, their sleeping neighbour; how people get depressed if pine trees grow too close to the house; that you should never turn away a witch at the door; and why her father was unlucky not to die in the war. The family crosses from Finland to Sweden, from a familiar language to a strange one, from one unfriendly home to another. The Girl, mute but watchful, weaves a picture of her violent father, resilient mother and strangely resourceful brothers. 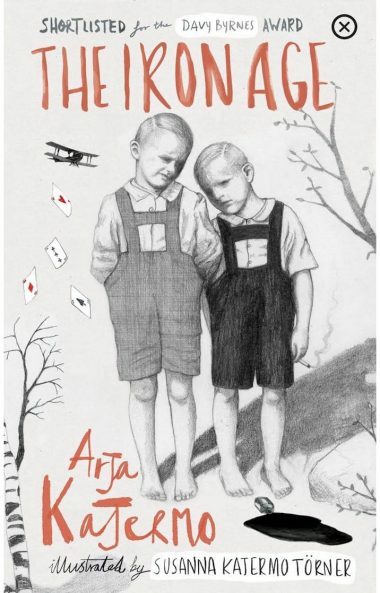 In this darkly funny debut, with illustrations throughout, folktales and traditional custom clash with economic reality, from rural Finland to urban Stockholm. This title is available in trade paperback with french flaps and endpapers. B&W illustrations throughout by Susanna Kajermo Törner. Arja will be available to sign copies on launch night. Preorders will be sent out from Monday 24th. Sales queries to sales@tramppress.com, press queries to Peter O’Connell Media: peter@peteroconnellmedia.com.